Picture this, you’re at a networking event and you meet a prospective client. You know that you can help this successful business owner or executive be EVEN more successful but how do you set up that first appointment without coming off like a total sales person? 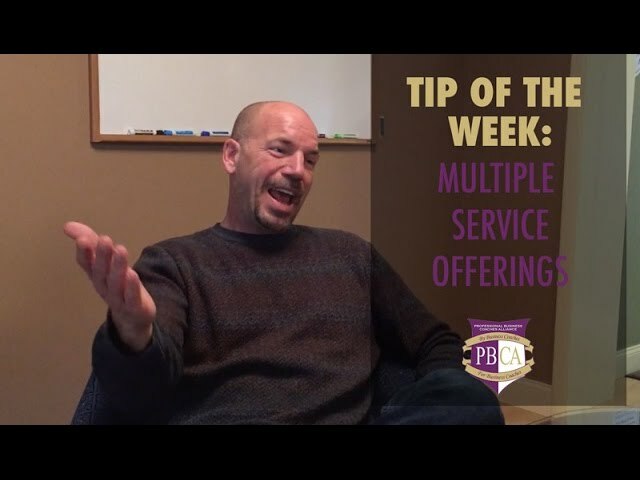 The initial business coaching appointment is critical and what Jon Denney, president of the PBCA, has found (and illustrated in the video below) is that you should treat this initial coaching appointment as a coaching session and not as a sales pitch. The initial appointment should be all about that prospective client and providing them with clarity. By doing that, you not only prove your worth as a business coach but they are given clarity on their biggest problem/opportunity and are given specific action items for the next week, to begin the process of realizing that solution. Therefore, our PBCA Business Coach Tip of the Week is to set an agenda. What do we mean? When you are talking with that prospective client and you suggest that you sit down for an hour, don’t give them the impression they are walking into a sales pitch, because they aren’t! Instead, provide an agenda for what that hour of time will look like, explain that hour will be all about them and finding clarity on their biggest problem/opportunity and that this focused hour will provide them with action steps for beginning to solve that problem. Who wouldn’t want to do that? We hope this video helps you book your next business coaching client! Let us know how it goes! If you are already a business coach and looking for more tips and coaching fundamentals, you should check our our Legacy Coach Orientation Course. The Professional Business Coaches Alliance (PBCA) is the premier business coaching alliance in North America. The PBCA exists for independent business coaches, providing world-class certification training for new coaches, and serving as a membership organization for the finest business coaches in the United States and Canada. IS IT TIME TO FIRE YOUR CUSTOMER OR CLIENT?